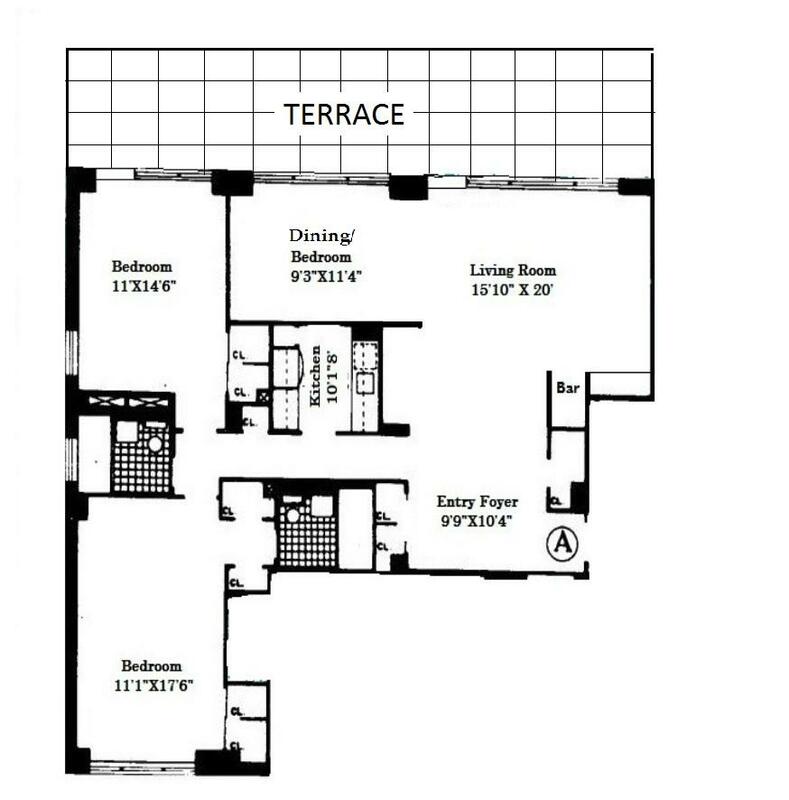 Massive 1400 Flex 3 bedroom with 2 king size bedrooms.super bright high floor ,wall of windows and tons of closet space. Updated kitchen with granite counters, 2 full renovated baths and ample closet space. Massive living room and a huge 250sq terrace. this unit is truly one of a kind and does not come very often. the unit is almost done with renovation and pictures will come soon. building features 24/hr doorman ,elevator,laundry and rooftop access.